This cool little Hex Bung is precision machined in the USA from 1018 steel which has good welding qualities. Besides just looking cool the unique design allows the bung to be held while tightening the fitting being installed to minimize the stress applied to the vessel it’s welded to. Measures approx. 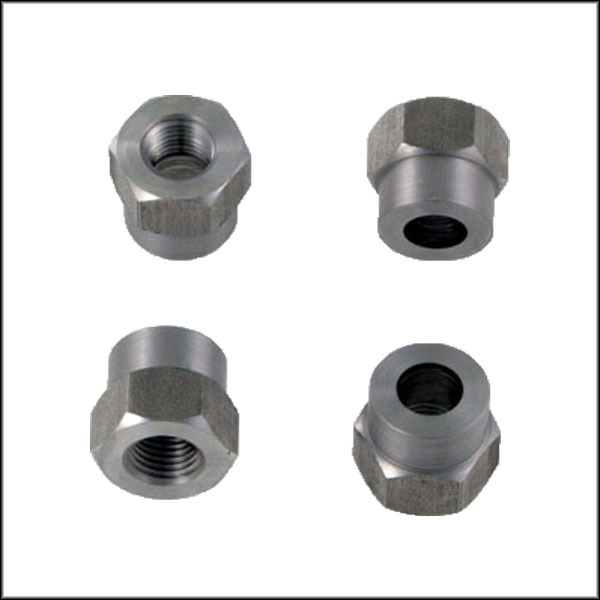 7/8″ total length, the first 3/8″ is 13/16″ diameter round and the remainder is 7/8″ hex with a 1/4 NPT thread in the hex end. Sold in a 4 or 10 pack.